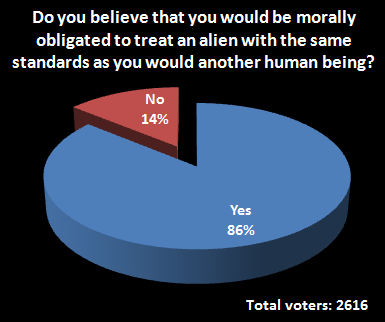 Poll #35: Do you believe extraterrestrials walk among us? Vote in the left side-bar! Do you believe extraterrestrials walk among us? 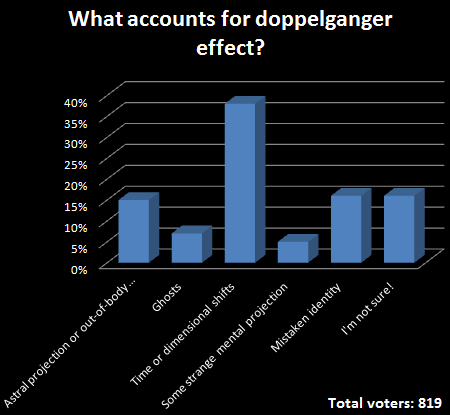 Poll #34: What accounts for doppelganger effect (a paranormal double of a living person, in modern vernacular, the word has come to refer to any double or look-alike of a person)? 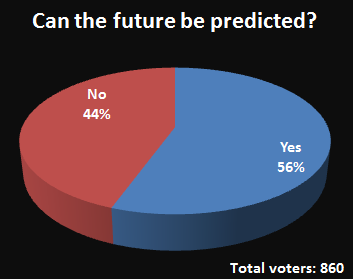 Poll #52: Do you think the US president knows any classified information about UFOs and extraterrestrials? Poll #50: Do you believe there are living or dead extraterrestriall beings in Area 51? 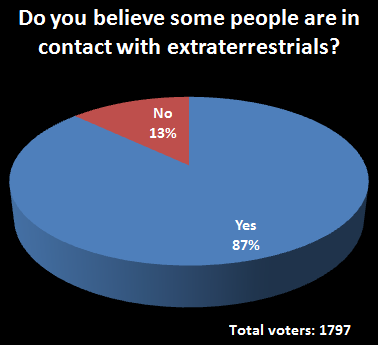 Poll #32: Do you believe some people are in contact with extraterrestrials? Poll #25: What happens when we die? yes they walk among us. yes I am sure we have aliens amoung us. God planned it that way. keep us on our toes. If they r here, welcome. Want some chocolate? I believe there are people from out of this world walking among us. There are several cases, one is the Dolores Barrios that happened in Washington by the 50s. Regards. &quot;They&quot; have been here all along,they have never left this planet,and they are much closer to us all,than most folk would ever believe.Chosen ones have been privileged to interact and there will be a large group of &quot;Doubting Thomases&quot; who will faint at the sight of their presence.I have seen something in the sky and no amount of denial or mis-information,will tell me otherwise! HELL YEA!!! If you ever meet my mother in law, you too will say HELL YEA!! traveling back to cali from louisiana we spoted one in a v shape and ths was spoted in new mexico.. and then before long a second one and then a third and then a fourth one come and formed a triangle and we sat and watched them as we drove down i10….watched then for a bout half hour.. then the disappeard.. Yes, they are here! They have been here for sometime. They are observing us. Just look at the sky at night. Pay close attention to the stars. Notice something different? There are objects in each constellation, they have white, blue, red lights. They do not move. I have observed them for several months. Does anyone have any idea what they are? Use your telescope! They have been here for a very long time. There are ufo&#39;s or &quot;Big Brother&quot; is really watching us. There are objects in the night sky every night. I can count as many as 12 in just the south and western sky. They have the flashing lights and just sit there. One thing that is also strange they have placed themselves in each constellation, but they are much brighter than the stars. In addition to the time scale remark: the aliens better huury up saying &#39;Hello&#39;, 100 years from now we might be either extinct (http://news.discovery.com/human/will-humans-be-extinct-within-100-years.html) or at least back in some caves and tents, again reduced to 10,000 or even a mere 1,000 breeding pairs (http://en.wikipedia.org/wiki/Toba_catastrophe_theory).